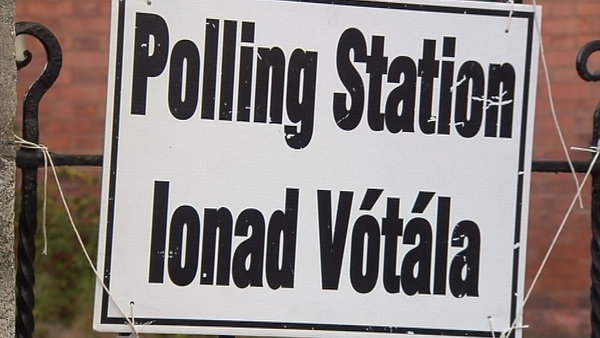 The polls have now closed in the Local and European Parliament Elections. There were also Dáil by-elections held in the Dublin West and Longford Westmeath constituencies. The final turnout is estimated at being somewhere above 50%. Some political parties say their research indicates it will be close to the 58% figure of 2009, when these elections were last held. Over 2,000 candidates are contesting the 949 local authority seats, while 41 hopefuls are in the race for 11 MEP seats spread over three constituencies. In Longford/Westmeath, nine candidates are running in the Dáil by-election. Dublin West voters had a choice of ten candidates in that by-election. The counting of votes in the local and by-elections will begin at 9am tomorrow morning. Counting in the European Parliament election will begin on Sunday. There may be some early indications of the way people voted when the first results of RTÉ's Exit poll are revealed at 9am tomorrow morning. 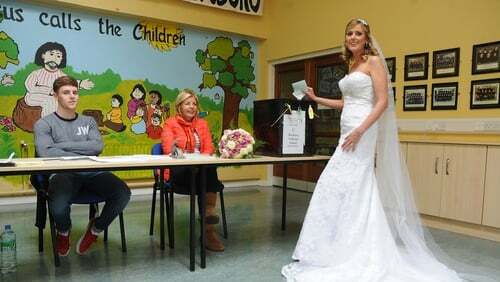 Amongst this morning's voters was Fianna Fáil leader Micheál Martin and his wife Mary who cast their votes at St Anthony's Boys National School at Ballinlough in Cork City. Tánaiste and Labour leader Eamon Gilmore voted at Scoil Mhuire on the Shanganagh Road in Shankill, Co Dublin. Elsewhere, counting in the local elections in Northern Ireland took place today. Over 900 candidates are competing for the 462 seats on 11 new local authorities. Final results are expected to be known by tomorrow afternoon. Counting in the European Elections begins in Belfast on Monday morning.